Web Catalogue of Rembrandt's Paintings Over 600 paintings, including former and disputed attributions, divided into categories. 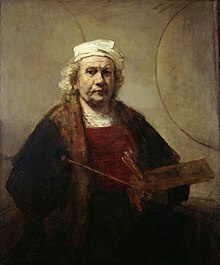 artistarchive.com over 300 Rembrandt prints with dimensions and reference numbers, many with images. Boston MFA Good images of almost all of Rembrandt's etchings. ca. 400 images. The Rembrandt Signature Files. Information about Rembrandt's name and signatures.